Next week at its F8 developer conference, Facebook will announce new ways for third parties to offer experiences through its Messenger app, according to multiple sources. Facebook hopes to make Messenger more useful, after seeing Asia’s chat apps WeChat and Line succeed as platforms that go beyond just texting with friends. [Update: Facebook indeed launched its Messenger Platform at F8. It offers third-party apps for creating and sharing content, and new ways to communicate with businesses, just as I reported. While the Messenger platform is said to be a major part of F8 by all the sources, it’s unclear exactly what form the third-party integrations will take. Considering what WeChat and Line have done, there are plenty of opportunities including ways for businesses to communicate or share content directly with users, or options for richer friend-to-friend content sharing. The platform is likely to start slow, with Facebook working with preferred partners, but it may eventually open to more developers. Facebook declined to comment on this story. Facebook is looking to recreate the best parts of its earlier web platform efforts without repeating its mistakes. 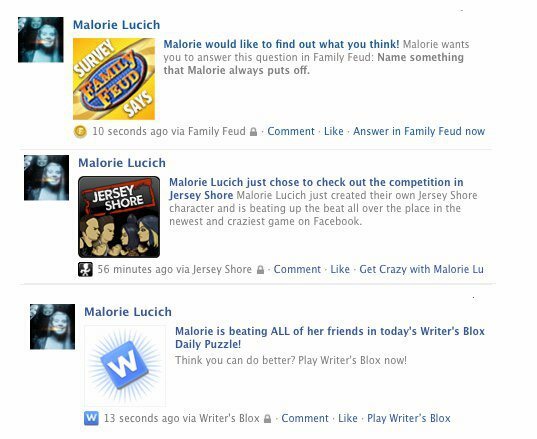 Facebook’s web canvas thrived with games, as it let users quickly bring their identity and friends to third-party experiences. And its Open Graph protocol connected people’s apps back to their Facebook profiles. Both were popular because they helped developers find an interested audience. That’s something especially tough now in the mobile era, as the app stores have become highly competitive and overcrowded. The problem was that the web platform became so overrun with game spam that Facebook had to reduce its virality. Eventually, it withered as engagement shifted to phones during a time when Facebook was confused and slow moving on mobile. Open Graph got a rotten reputation for over-sharing, as it auto-published news, music and video consumption to the News Feed Ticker. Learning from those experiences, Facebook is likely to be careful not to let spam slip into its relatively pristine Messenger app. Until now, Messenger has been almost entirely a Facebook experience. Websites can integrate a Send button that lets users send the URL privately to a friend. But otherwise, Messenger focuses on letting users send and receive texts, phone calls, photos, videos, stickers, voice clips and money, all through Facebook’s own systems. Facebook subtly hinted new developer capabilities for its chat app would be in store for F8, as it told me that Messenger would have announcements at the conference. And Messenger head David Marcus told Wired last year that he’s intrigued by how businesses and people communicate directly, citing the poor experience many have with touch-tone phone numbers and airline customer service. Facebook previously offered a little-known way for users to send private messages to Facebook business Page admins. For Messenger’s platform, Facebook is said to have eyed Line and WeChat. They were pioneers in using their frequently used instant messaging apps as the centers of mobile interfaces that act as monolithic portals. Snapchat is another messaging app that’s recently explored a platform approach. Japanese messenger Line includes a “More” tab with access to a Sticker Shop for buying premium emoji to share through Line, Line Pay for eventually making quick transactions in brick-and-mortar stores, and featured collections of Line companion apps and games. Those apps range from homemade emoji makers that let you send your face to friends, Line Toss for photo sharing, Line Brush for drawing, Line Card for sending greeting cards, Line Camera for making collages, B612 for jazzing up selfies, and Line WebToon for reading manga. Line also lets users follow Official Accounts that let them receive content directly from celebrities, entertainment properties, news organizations, and brands like Paul McCartney, The Walking Dead, Manchester United, and the BBC. Compared to the constant barrage of posts to their Facebook and Twitter accounts, Line Official Accounts are designed for lower-volume, higher-signal, direct communication with fans. Snapchat has pursued a premium, glossy content strategy with its Discover page. Major media outlets like Comedy Central, CNN, Vice and ESPN can offer up Snap-formatted photos, articles, and videos with interstitial ads. Meanwhile, WhatsApp has seen its Send buttons drive massive traffic for media properties by letting users push URLs to friends through WhatsApp messages. Facebook could take inspiration from any of these apps. An option would be for Facebook to let third-parties help people create and share richer content like embellished photos through Messenger. 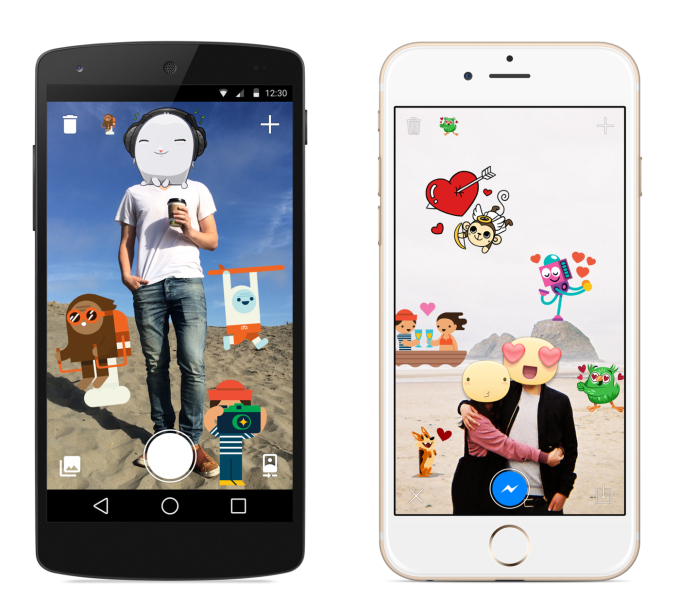 Facebook already released its own Stickered For Messenger companion app for slapping stickers on photos and sending them to friends. Alternatively, Facebook could allow users to follow or visit official accounts. That might help them stay current with things they love that might get lost in the News Feed, or communicate with businesses directly in a way that’s more efficient than a phone call. One more possibility is that Facebook might try to make it easier for web and mobile content properties to gain viral traffic via Messenger. Facebook’s own News Feed could get better ways for people to push stories they see to Messenger. China’s WeChat platform has centered more around commerce. Users can buy movie tickets, pay for taxis and more through the messaging app. While content is said to be the focus of Facebook’s initial Messenger platform efforts, it could expand into commerce eventually if third-party experiences gain traction. Just this week, Facebook added a way to make free friend-to-friend payments through Messenger by adding a debit card. With a native payment interface already in Messenger, it would be easier for Facebook to build in more commerce opportunities. With well over 500 million users, Facebook Messenger has become one of the most popular apps in the world. While Facebook’s main app is essentially a version of its website ported to the small screen, Messenger was built for mobile. Facebook is something you lazily browse with little intent, whereas Messenger is designed for taking action and getting things done. For some around the world, Messenger has become the primary way they use Facebook. Improving content inside it could make sense for users who aren’t glued to the News Feed. Facebook’s mission for Messenger as of late has been to make it “more useful, expressive and delightful,” according to its payments feature’s product manager Steve Davis. Now it’s ready to ask for some help from outside the walls of 1 Hacker Way.